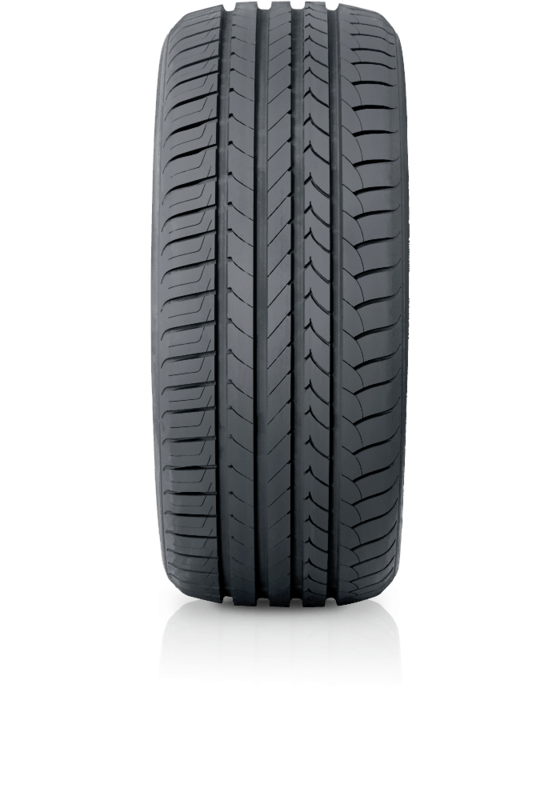 Goodyear Eagle EfficientGrip - efficiency is it's middle name. Goodyear Eagle EfficientGrip - efficiency is it's middle name. The Goodyear EfficientGrip delivers optimum vehicle stability and reduced wet braking distances, with an innovative asymmetric tread design gripping the road surface for greater traction and reduced braking distances. It is also one of Goodyear’s quietest tyres ever thanks to the innovative QuietTred Technology, which minimises road noise, without compromising grip and control.